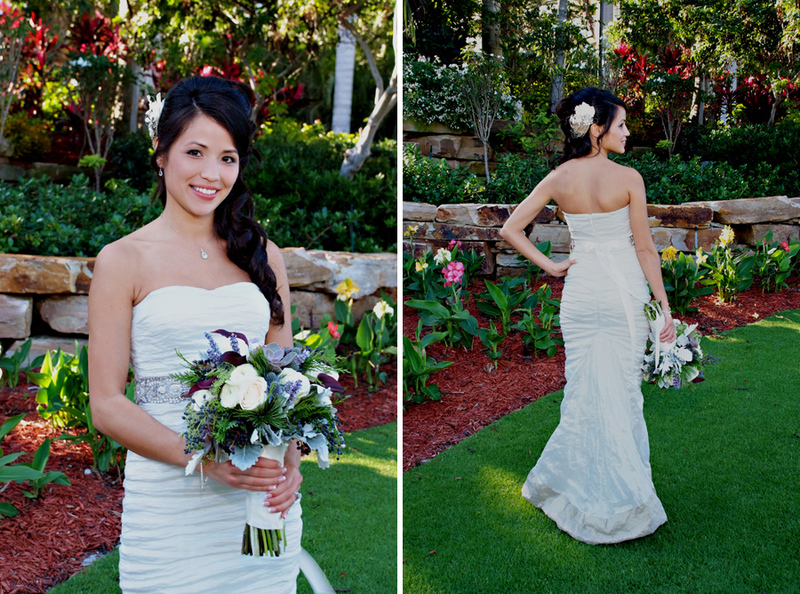 We are excited to feature yet another lovely Florida destination wedding, photographed by Tonya Malay Photography! 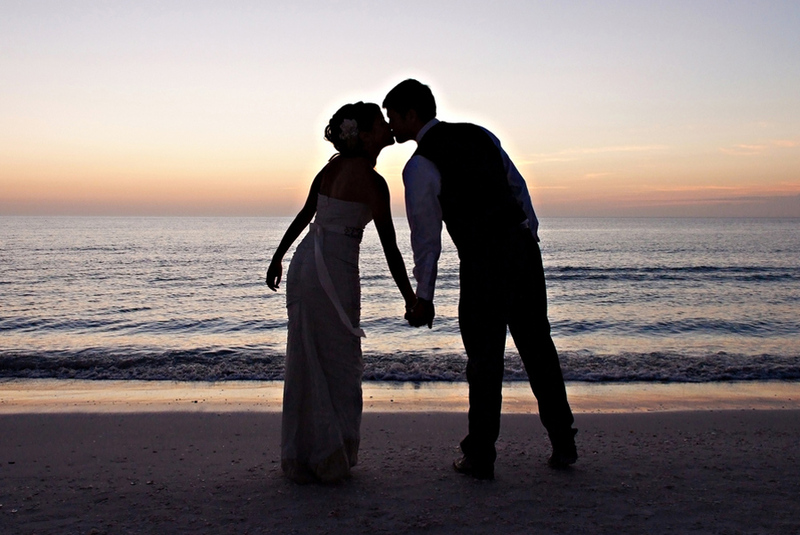 The weddings she photographs usually take place along the Florida coast at venues like Marco Island Marriott Beach Resort, South Seas Island Resort, and The Ritz-Carlton, Naples. 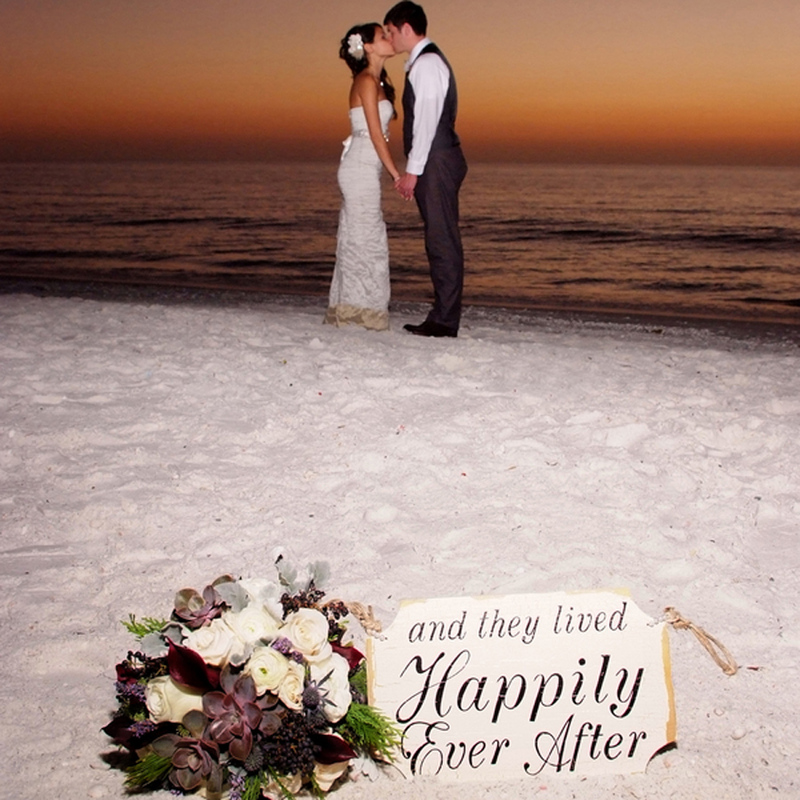 The weddings are always so decadent and gorgeous, the locales are breathtaking, the sunsets over the water are out of this world! Sometimes it seems that for such beauty the cost might be steep at the end of the day. 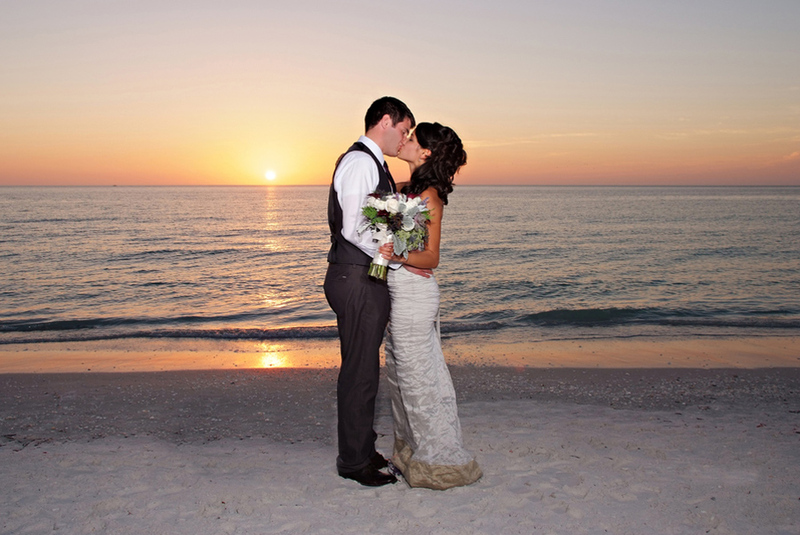 We chose Florida because I always wanted a destination wedding. 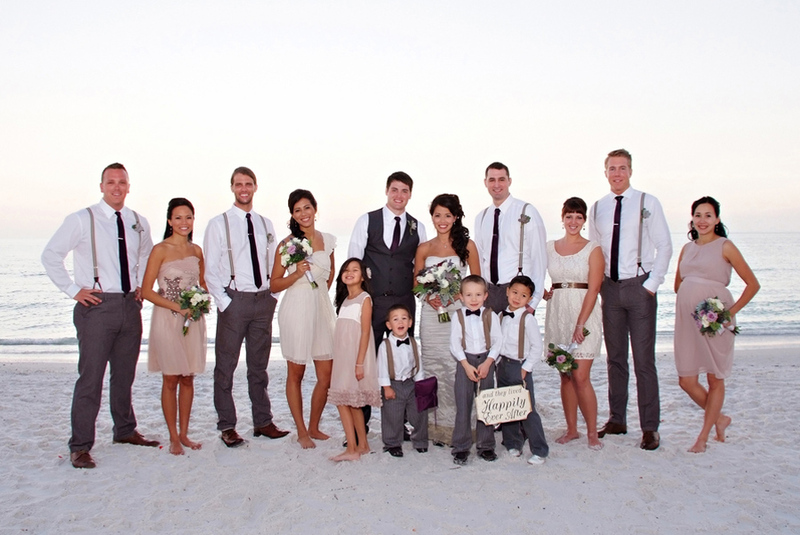 The groom's family has a second home on Marco Island. 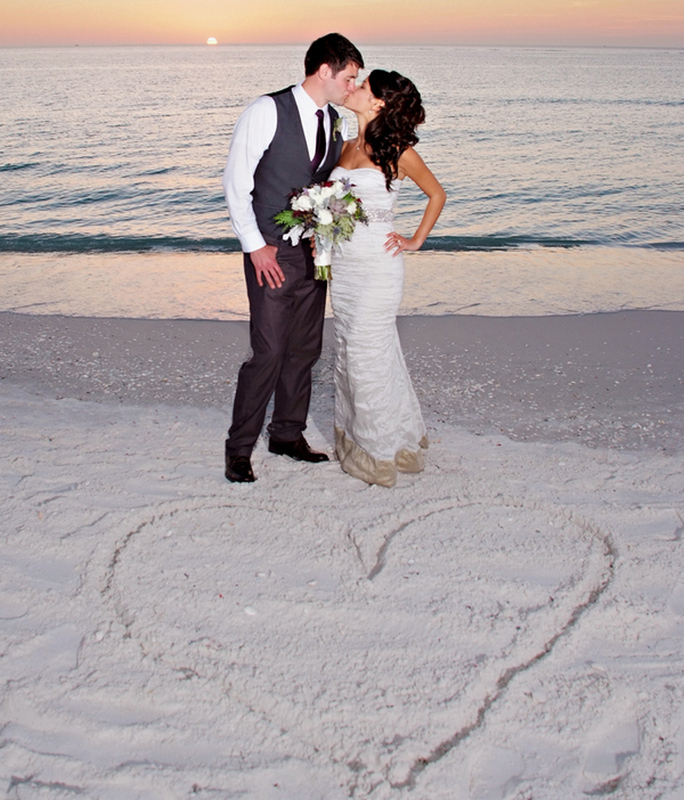 We chose the Marriott because we knew it was beautiful & the best resort on the island! 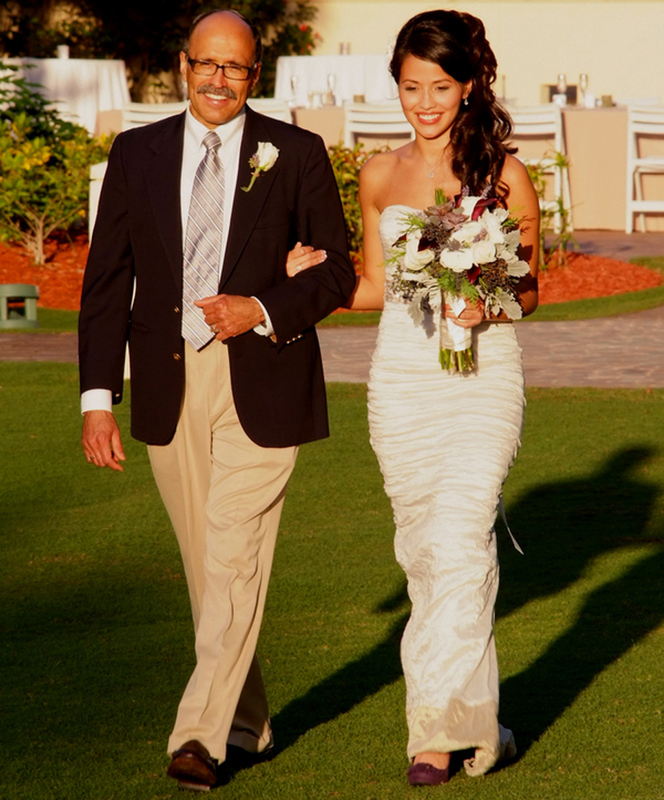 Our Florida wedding was about $15,000. I researched vendors & checked their reviews before I made final decisions. We kept our guest list to 40 which was the perfect amount for us. The reception was non-alcoholic so I am sure that played a big role on our final budget. I have to say, knowing what you want, finding the spot, then doing the research before making final decisions is an excellent mind set to have in order to pull off your dream wedding, your way, and to stay on budget. Keeping decor simple, a smaller guest list and alcohol off the menu will surely enable to stay on budget at a dream location. 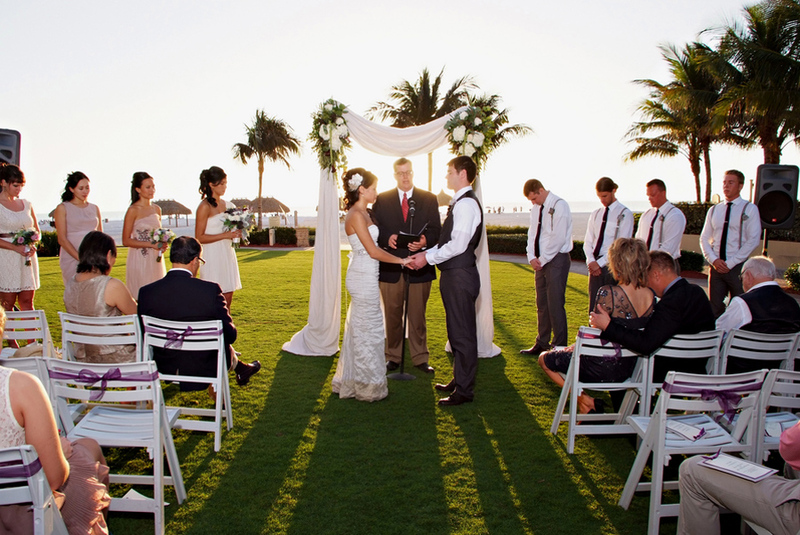 Besides, when you are at a beach wedding reception, at a locale like Marco Island, you don't need much in decor, anyway. 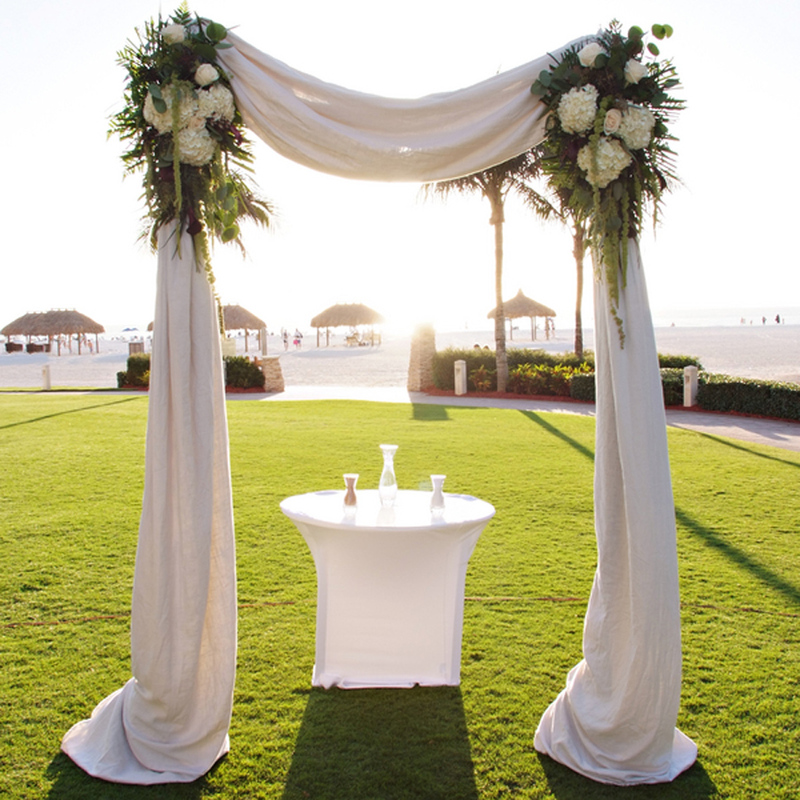 The scenery and sunset provides the decor! I love how Grace's gown is accented at the hem in that champagne/beige hue. 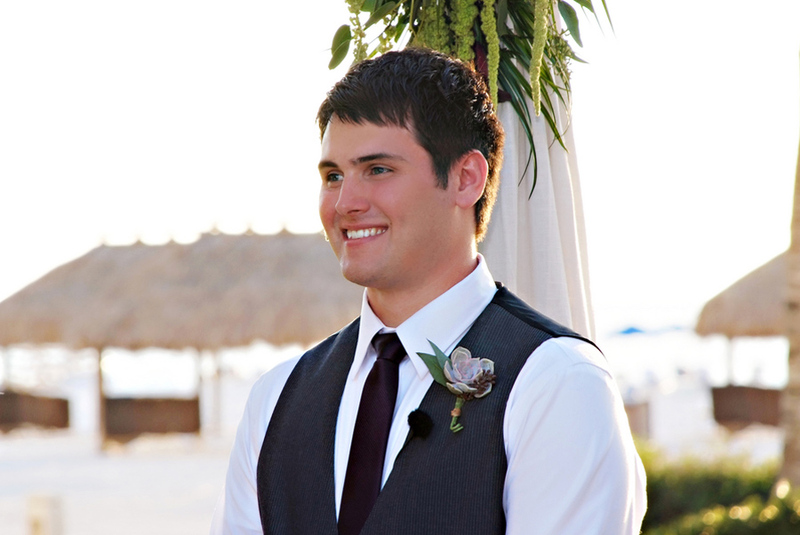 It's a great way to add a splash of color, which is usually done where the sash is concerned. 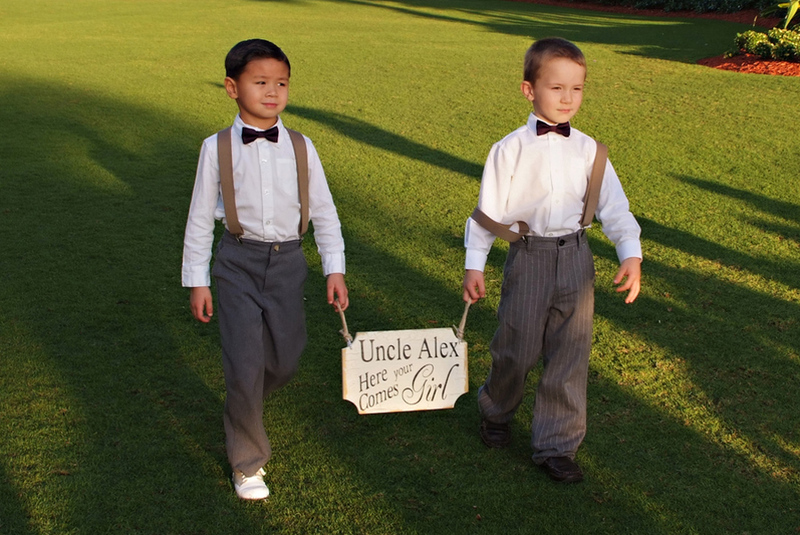 But her sash seen here provides a touch of bling, and with the ties at the back helps accentuate the dress. Very cleverly executed! 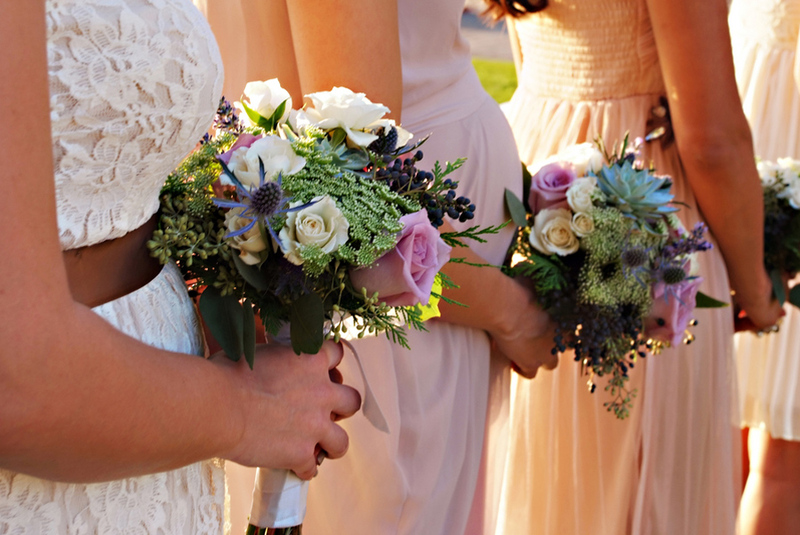 I love how the bridesmaid gowns are mis-matched, yet are individually unique, and each in a different color and texture. 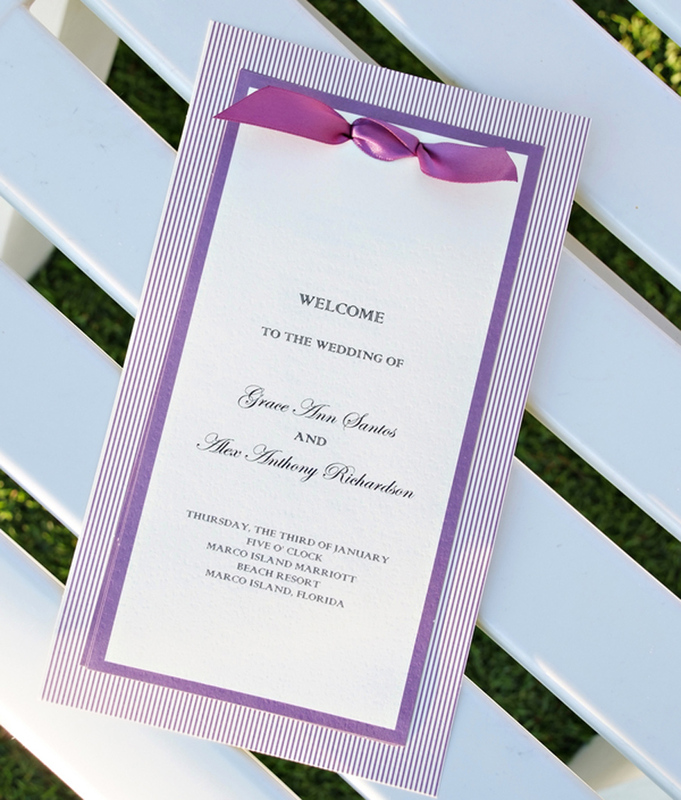 The neutral color palette in tones of beige, green, and varying hues of purple is warm and inviting. 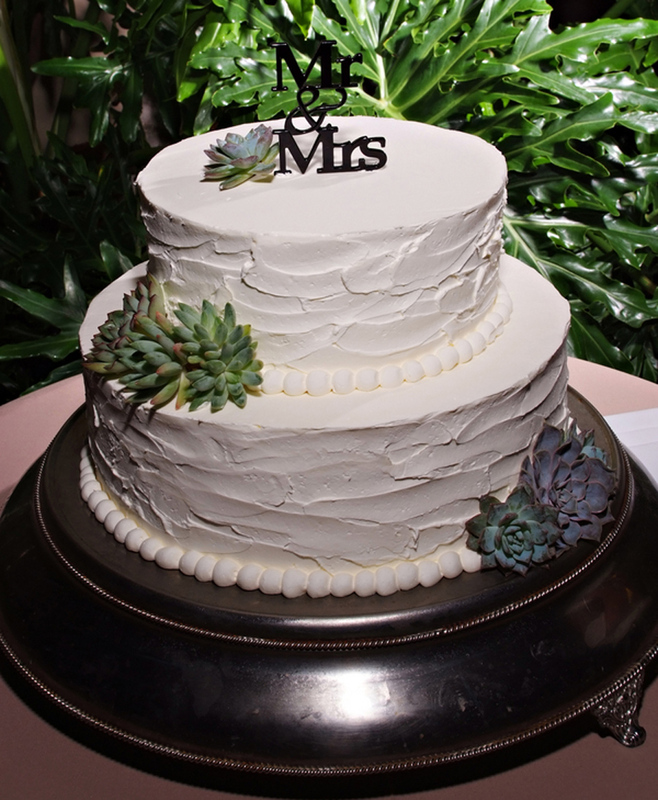 I love the mix of succulents, greenery and roses! 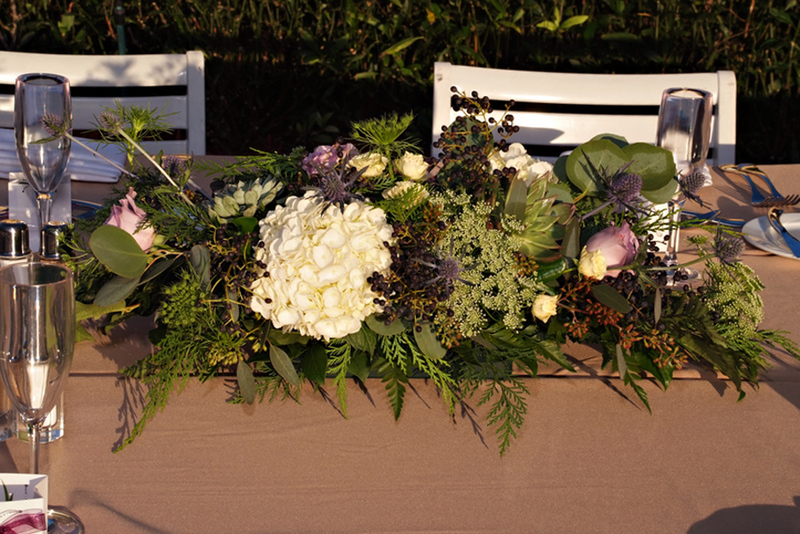 The bride's bouquet and the centerpiece are just stunning! I'm seeing a lot of thistle lately, and let me tell you, I love it! 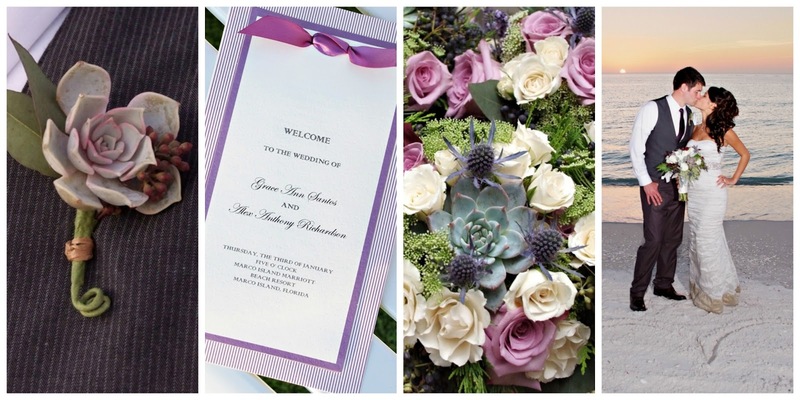 It's purple naturally, and yet is sturdy & masculine enough that they make excellent boutonnieres-as do succulents. Sea urchin shells are now my fave bit of seashell decor! 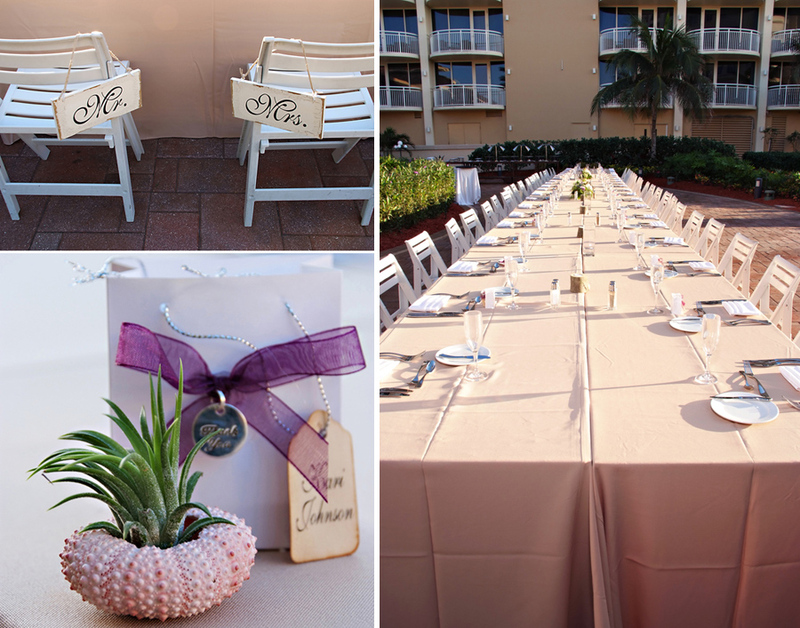 The little air plant favors add a bit of beach decor to the table setting. 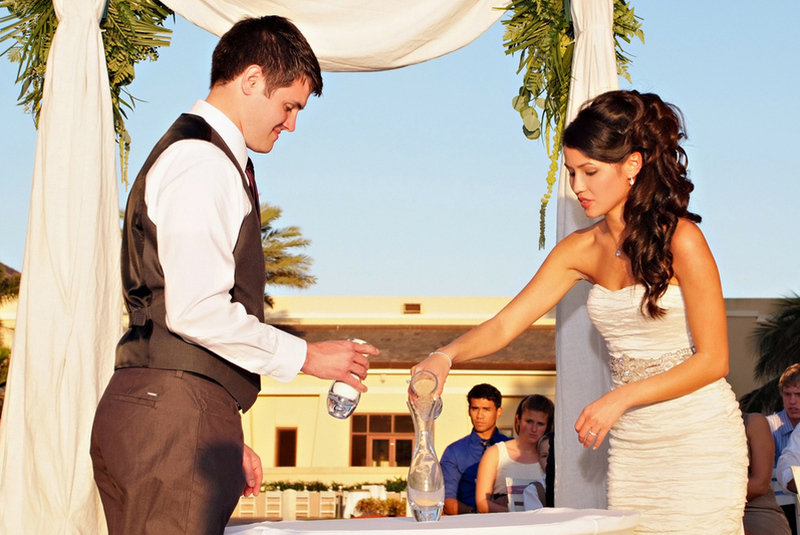 Bravo to this bride & groom on keeping their wedding on budget, yet making the affair so elegant. 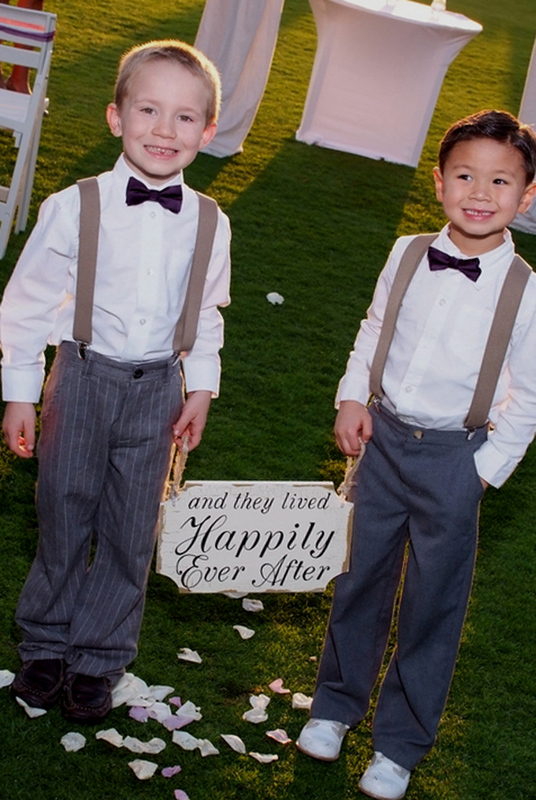 Our thanks, as always, to Tonya Malay Photography for submitting your stunning work our way! 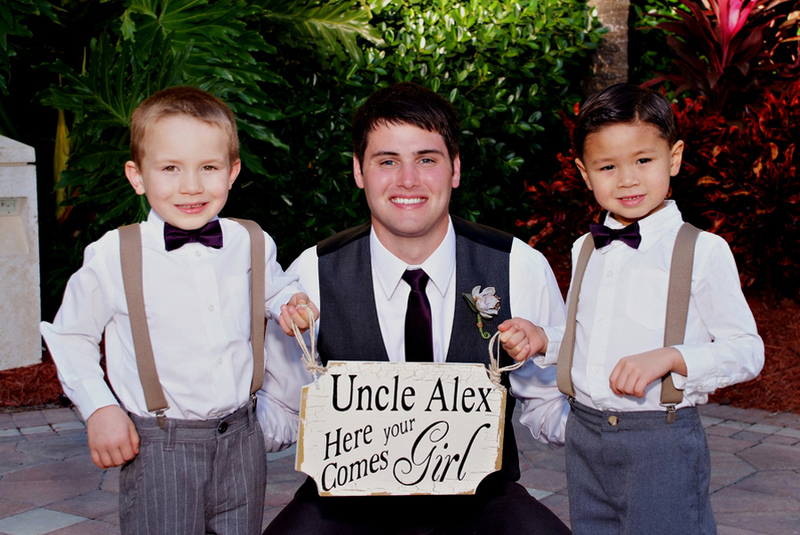 Thank you so much for sharing our images of Grace and Alex's wedding at the Marriott Beach Resort! I am in love with the feature!!! Always a pleasure, Tonya! Hope you're well!